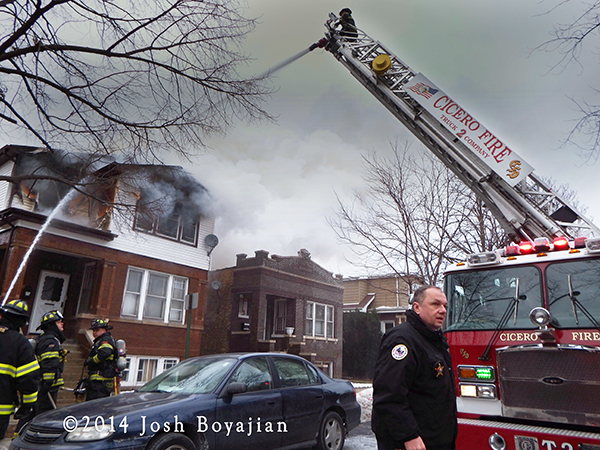 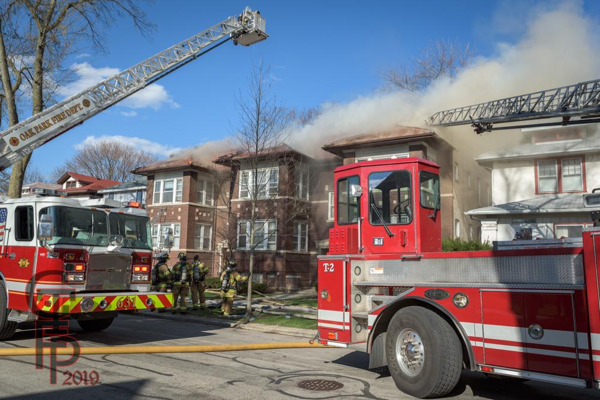 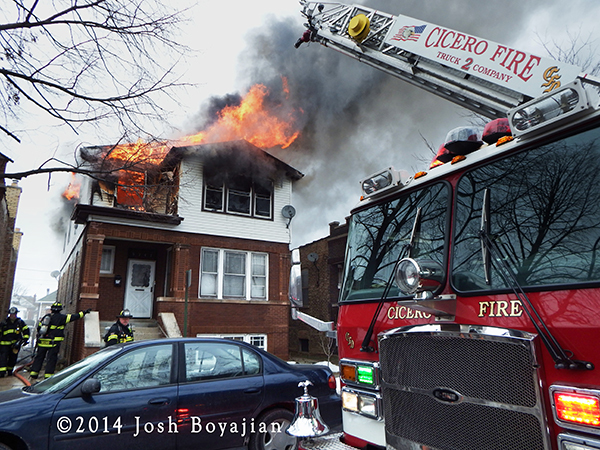 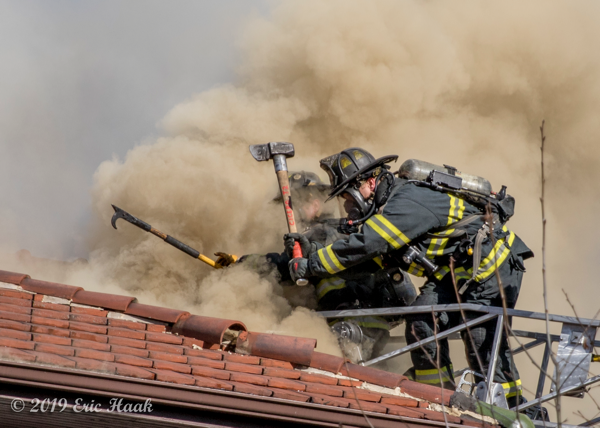 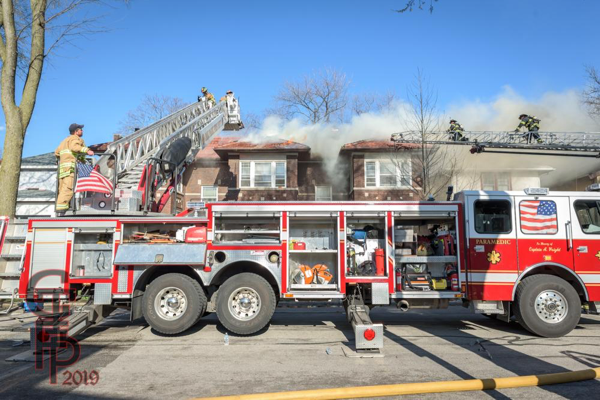 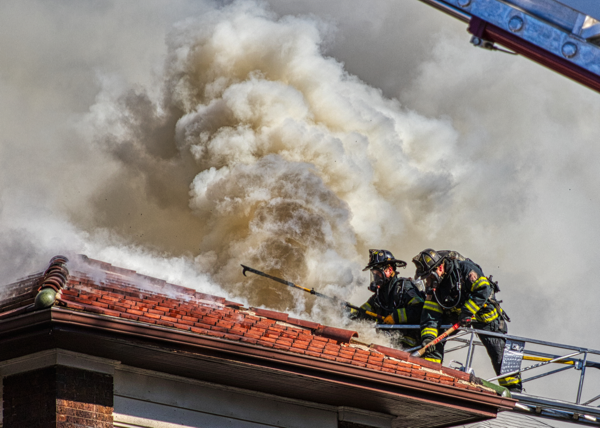 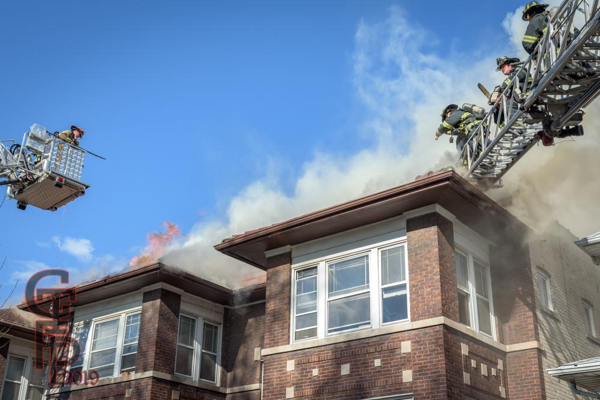 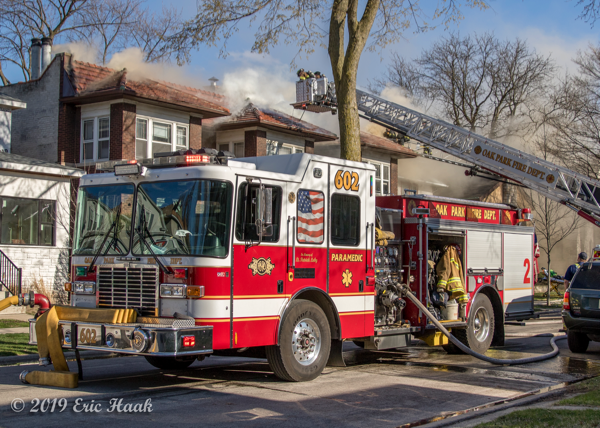 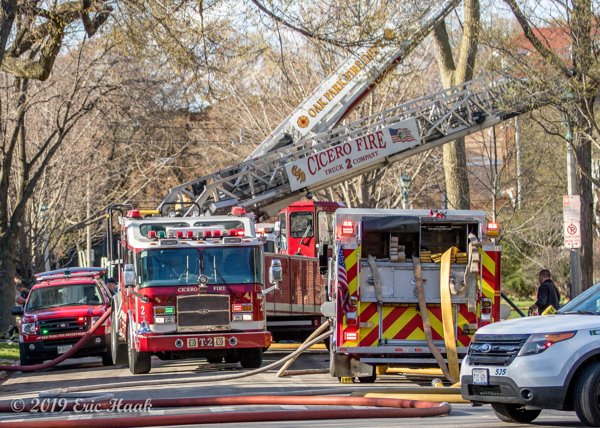 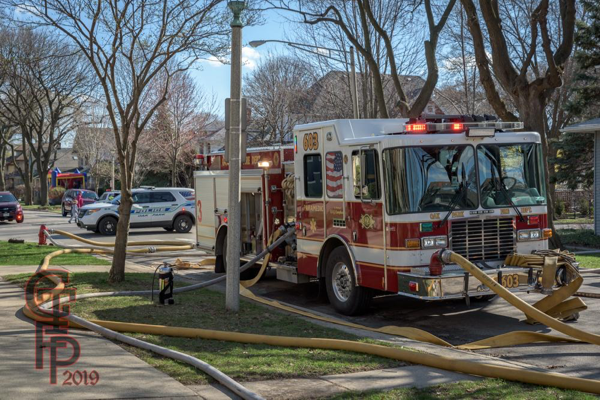 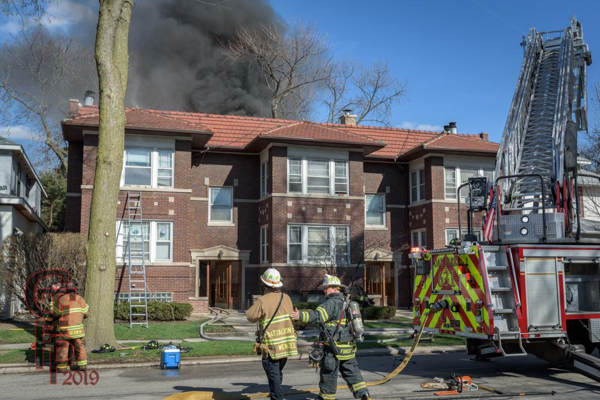 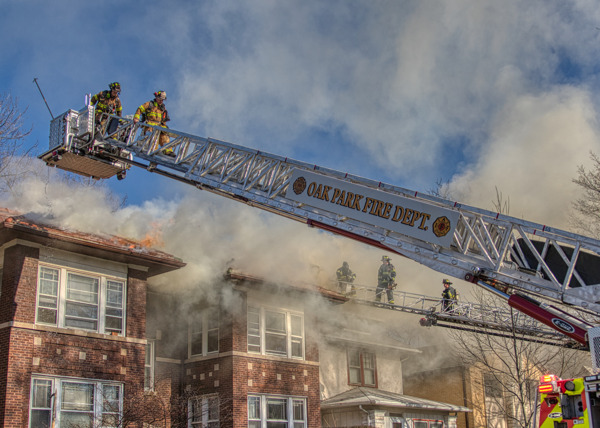 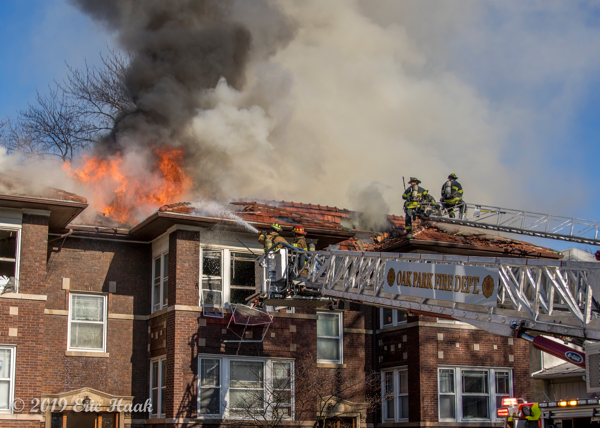 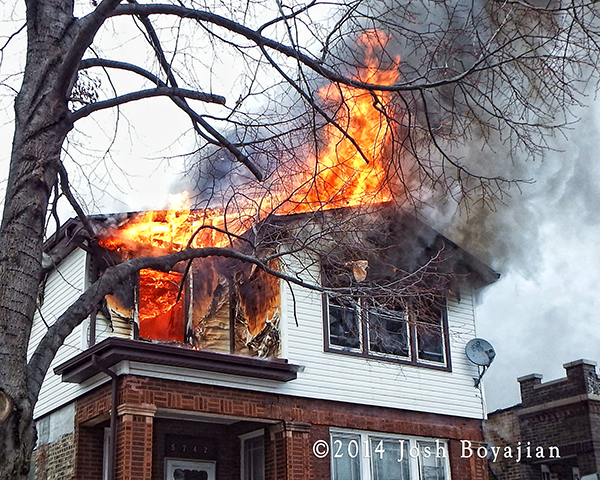 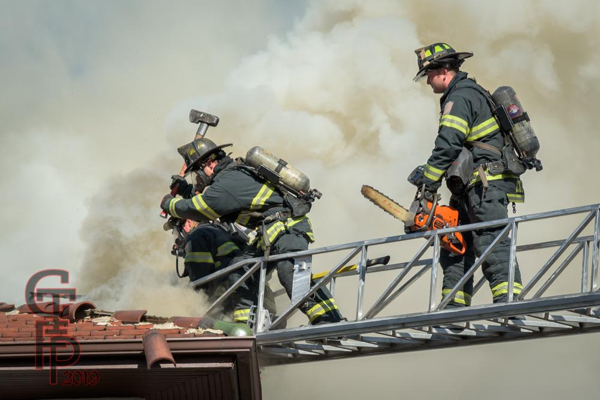 Cicero, IL companies were dispatched to a reported structure fire @ 5742 w. 24th Street this afternoon. 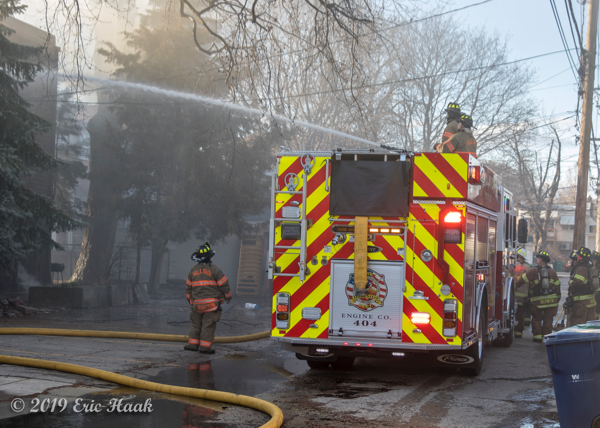 While en-route the chief confirmed he had a fire. 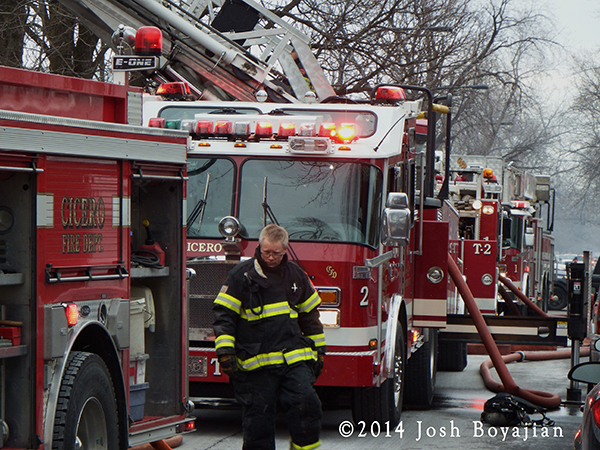 First-in companies reported fire blowing out of the 2nd floor on arrival. 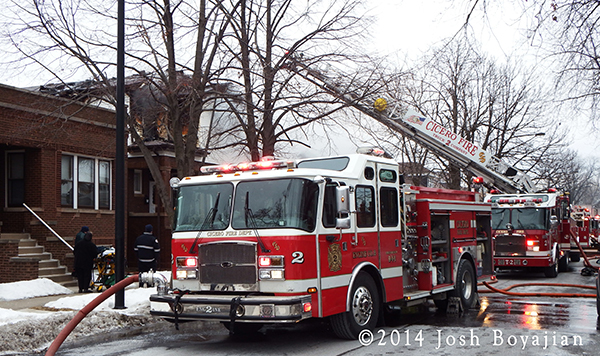 Engine 2 dropped a 2-1/2 to the rear while Truck 2 laddered the front of the building. 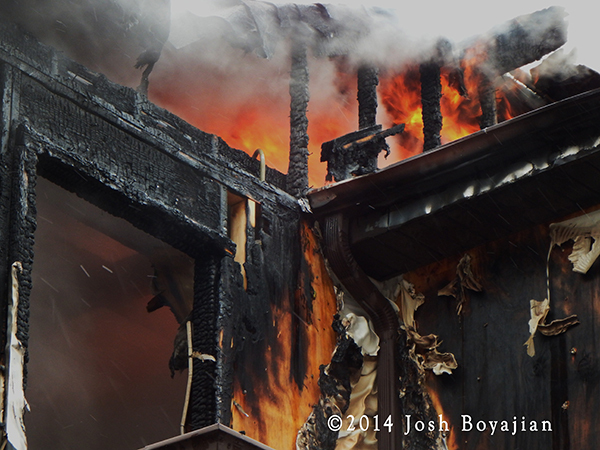 Here are some of my pictures.